Paris is on my mind this week, as well as food and a play I wish I could go see . . . Author of The New York Times best-selling book A Homemade Life: Stories and Recipes from My Kitchen Table , Molly Wizenberg again shares a delightful memoir full of “what was I thinking?” moments, love and life stories. Spotlighting the restaurant she opened with her husband in Seattle, Delancey, Wizenberg starts with the complete renovation to completion and great success. Along the way, her entire understanding of marriage and how it would work and look changes as well. As a blogger turned author and founder of the successful podcast Spilled Milk, if you’re interested in food (20 new recipes are shared in the book) or simply a good story, I have a feeling you’ll enjoy the journey. Nathan Lane and Matthew Broderick return to the stage again with an all-star cast (Megan Mullally, Stockard Channing, F. Murray Abraham and more) in It’s Only a Play. Having just begun last month in NYC, it will run for a limited time through January 4th. Another play about the behind-the-scenes of a Broadway production, this performance proves, the best show may just be backstage. Chef Renee Erickson, a James-Beard nominated talent and the owner of several Seattle restaurants: The Whale Wins, Boat Street Café, The Walrus and the Carpenter, and Barnacle, offers a best-selling cookbook for anyone who enjoys Pacific Northwest cuisine. 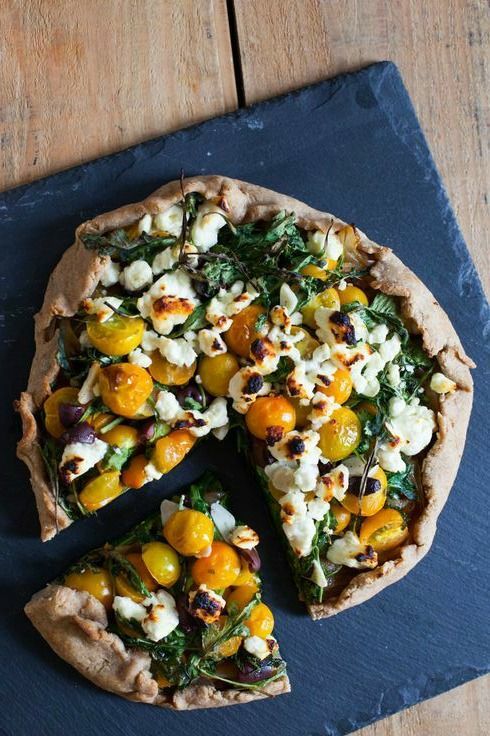 Made up of fresh seasonal favorites and a French culinary style, Renee’s casual approach and simple style make the delicious food offerings recipes I’m eager to try. One trend in handbags this season is the long, narrow strap shoulder bag. A nice piece that transitions from day to evening, there are a variety of options available. With Alexander Wang’s neutral hue and its discounted price, I wanted to share with you one of my picks. Recently, Amazon produced five new pilots and handed over the decision of what will be turned into a series to the viewers. While I’m sure all of the shows are well done, I immediately gravitated and now am raving about Cosmopolitans. You can view the pilot here, and be sure to leave a review if you want to see more, but here is what I think you’ll like about the new modern Parisian comedy: Paris, ex-pats, young twenty-something and thirty-somethings navigating through the daily routines of love and life. Similar to FRIENDS in a way, but far more chic. Take a look, and escape to Paris for 28 minutes. (View a trailer here). The weekend has again arrived and with it the finals of the US Tennis Open and the beginning of New York Fashion Week. Needless to say, to be in Manhattan would be a dream right now. Alas, no, I am living vicariously through live coverage as many of us are . . . and that will have to do. This weekend you will find me relaxing with tennis in the evening while leisurely spending the days reading, perhaps taking a yoga class and of course spending time with my dogs. But oh, how I can’t wait for Monday! The Simply Sophisticate podcast premieres and with such positive feedback so far, I am eager to get started here on the blog. Until then, here are a few articles you might like reading this weekend . . .
~As school begins, don’t forget to stop by Swopboard which is a helpful destination for selling what you no longer need while funding your preferred area schools. The team invited me to stop by and share a few ideas for getting ready for the new school year, have look here. ~Want to see what TSLL Fall Shopping Guide is all about? Here’s a look. Don’t miss another issue. Sign up for the bi-annual newsletter here. Have a wonderful weekend, and I’ll be back on Monday – this time, you have the opportunity of hearing my voice – yikes! All those books look delish, thank you Shannon. Have a lovely weekend, I predict that Novak will clean up the open. Thanks Shannon for recommending “The Cosmopolitans.” I loved it and I sure hope they continue to make more episodes! 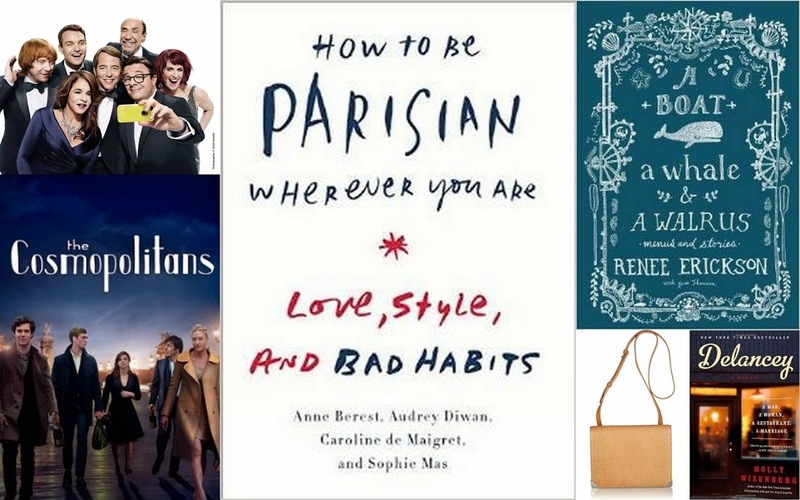 I’m also going to check out the book “How To Be A Parisian.” As a fellow Francophile, these are right up my alley too. Thanks for the recommendations. I get so many good ideas reading your blog. Have a great weekend! Shannon, once again, thanks for some wonderful suggestions. I plan on reading the books, and have just finished watching the pilot of “The Cosmopolitans.” I do hope this is turned into a regular series, as I would love to see more episodes. Only wish I could make it to NY to see the play, but that isn’t possible at this time. I really look forward to your Friday posts, as I know wonderful things await me. Thank you for all of the time and research you put into each day’s offerings!